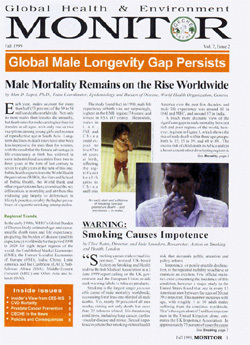 How Can Health Policies in Developing Countries Avert Threat to Male Mortality from Noncommunicable Diseases? Now, download this issue in Adobe's PDF format. If you don't have the Acrobat Reader, click on the Adobe button below.